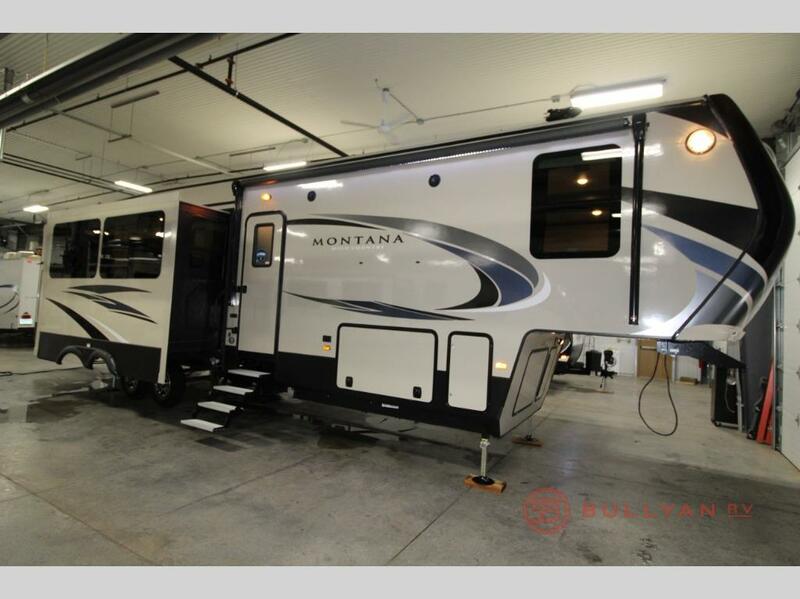 If you’ve been dreaming about an RV to call home while you enjoy life on the road with your whole family, look no further than our new 2018 Keystone Montana High Country 364BH for sale! This premium fifth wheel RV is decked out with four slides so you’ll never be cramped for space. Let’s take a look inside! 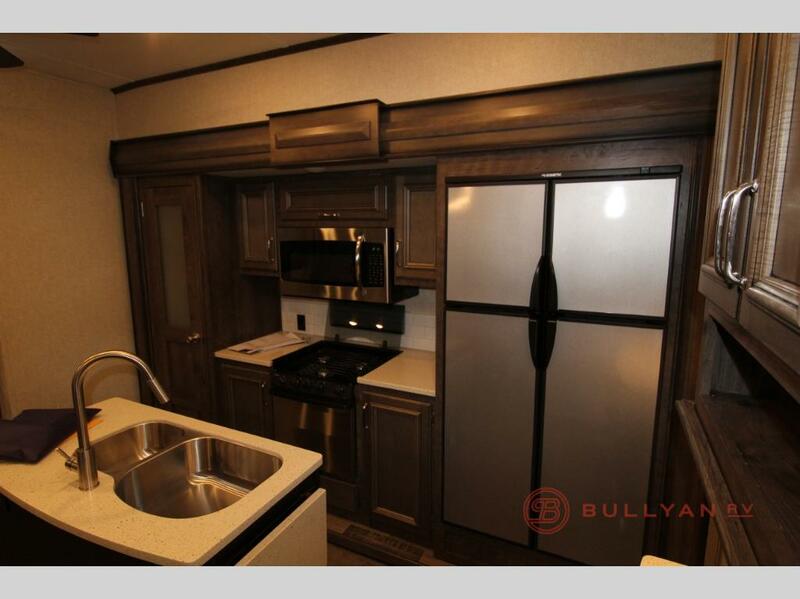 The Keystone Montana High Country 364BH fifth wheel RV sleeps six, with the primary bedroom featuring a residential Queen bed, plenty of cabinet storage, and a closet. The bedroom is large enough to opt for a King bed instead! Attached to the bedroom is a full bath featuring sliding shower doors, a beautiful vanity, and brushed chrome hardware. 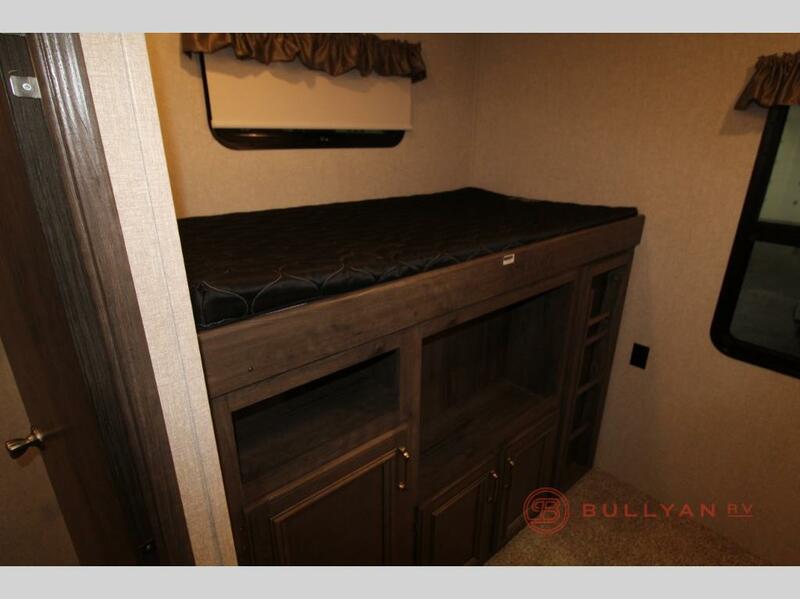 At the far end of the RV, children and guests will enjoy a private bunkhouse with comfortable sofas, cabinet storage, hookup for a TV, and a half bath. Thanks to the four slide outs, the High Country 364BH has a spacious interior between the bedrooms, with power theater seating opposite the HDTV and plenty of room to spread out during the evenings to enjoy either a movie or board games with your family. The kitchen features an island, double sink, 12 cu. foot refrigerator, microwave, and a coffee station, and if you’d like to take advantage of the beautiful weather, an outdoor kitchen is at your service, and even includes a microwave. Traveling with guests or children is best when you have plenty of space, and you won’t be disappointed with this model. If you’d like to take a look after reading our Keystone Montana High Country 364BH review, give us a call today! We have several floorplans available, and we’re ready to help you choose exactly which RV best suits your needs. 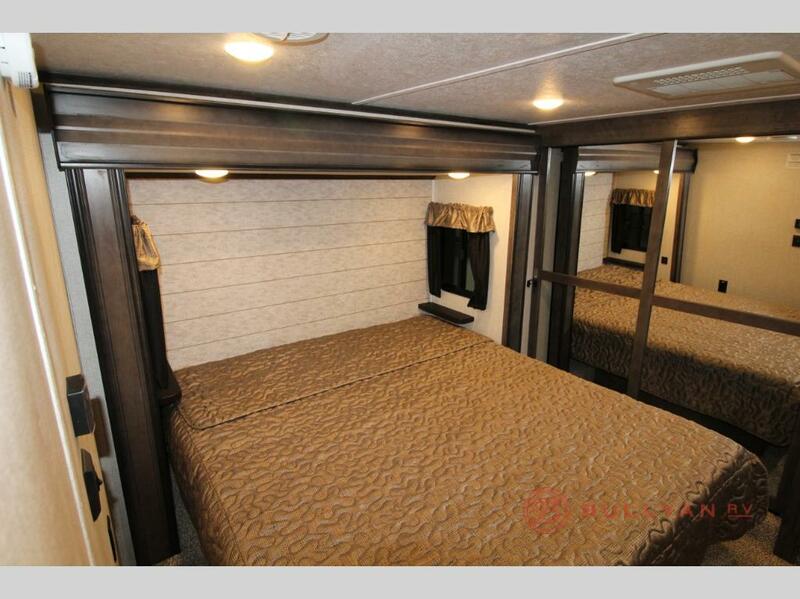 Contact us today to explore this luxury RV!